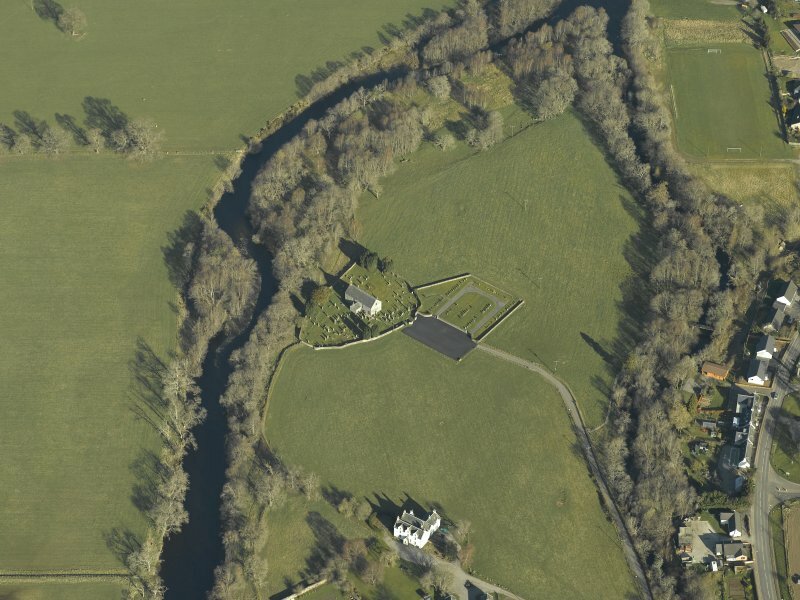 Oblique aerial view centred on the church, burial-ground, stables, farmsteading and manse, taken from the S.
Oblique aerial view centred on the church, burial-ground, stables, farmsteading and manse, taken from the ENE. 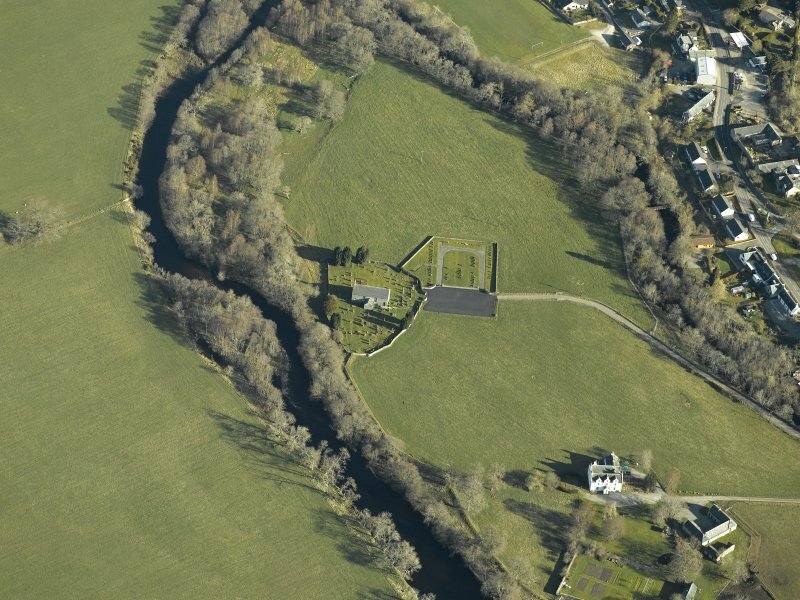 Oblique aerial view centred on the church, burial-ground, stables, farmsteading and manse, taken from the ESE. 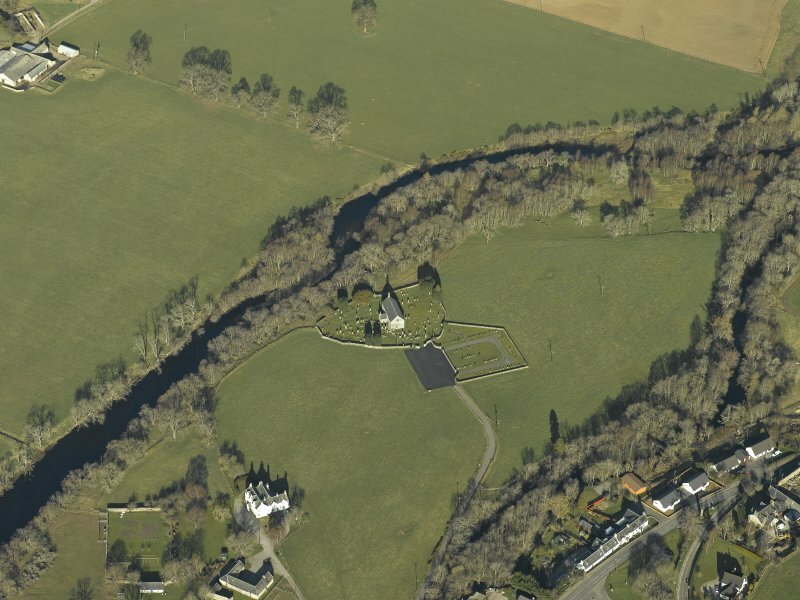 Oblique aerial view centred on the church, burial-ground and manse, taken from the SE. 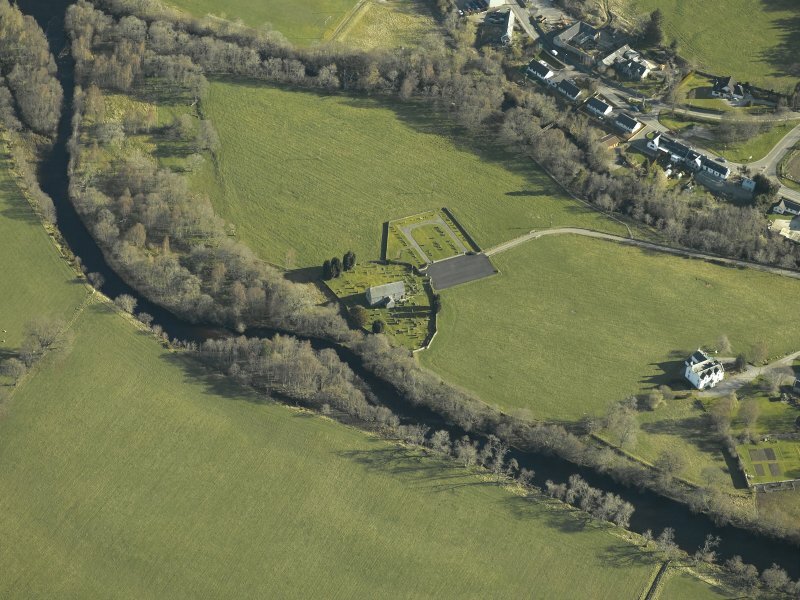 Oblique aerial view centred on the church, burial-ground and manse, taken from the SW.
(NH 4562 5577) 'As the church at Contin is dedicated to St. Maelrubha it was probably erected by him' in which case it would be 7th or 8th century. An early historical reference was in 1227. The church appears to be in the main a mediaeval building: 61 feet by 25 feet externally, 55 feet by 18 feet within. About 1832, the church was repaired and altered, and at various times doors and windows have been inserted, removed or altered. 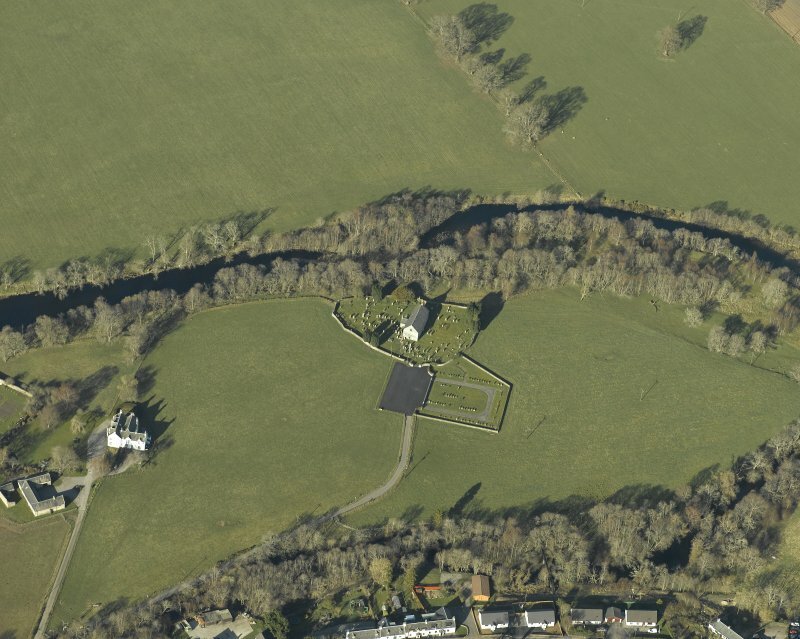 The main walls of the present church may have been built about 1490, as the former church had been burned by the Macdonalds about 1482-1488. In the churchyard there are two stones,one an oblong slab, with carvings of crosses on them. 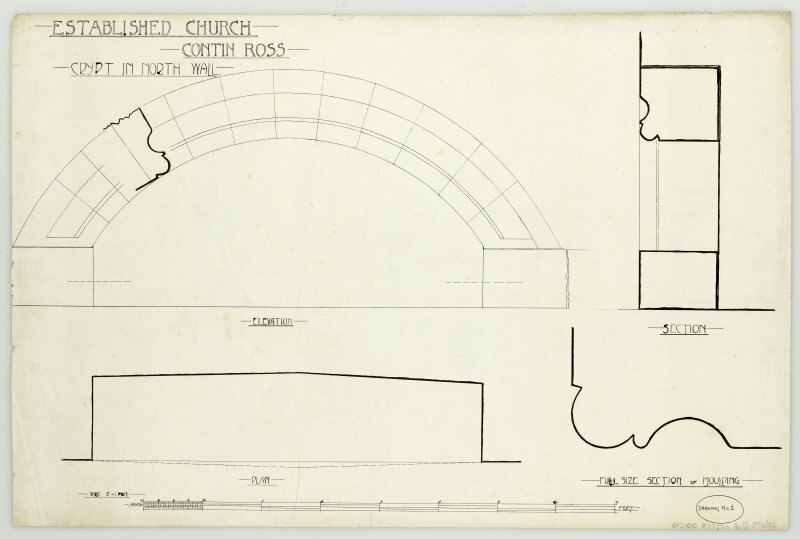 The parish church of Contin was almost entirely reconstructed in the 18th century. In the churchyard there are at least two stones with Gothic sculpture dating back to about A.D.1200. 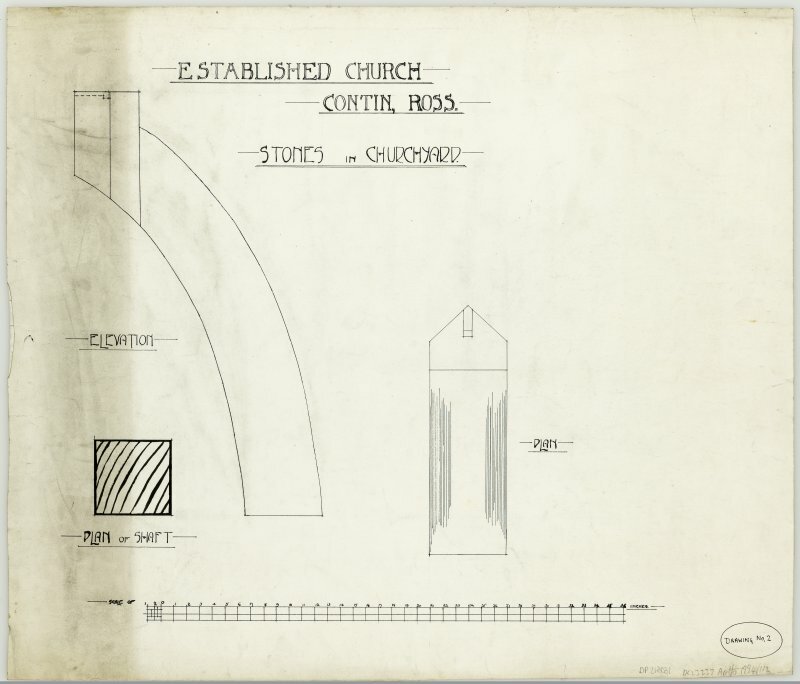 The Parish church of Contin was erected in 1747 on the site of ' an ancient edifice', the date of erection of which is unknown. The two carved stones previously mentioned could not be recognised. Visited by RCAMS (JRS) March 1989.